The leading manufacturer of wireless consumer electronics, Uniden has recently announced an aggressive expansion of six new GPS (Global Positioning System) products including units with an unique radar detection capability, ranging from 3.5 to 4.5 inches. According to the company, these latest GPS devices also includes more innovative features including Bluetooth capability, text-to-speech navigation, preloaded NAVTEQ maps, 2GB of internal map memory, night view and pin point positioning accuracy down to three meters. “With more than 40 years of experience in the consumer electronics industry and a solid understanding of consumers’ needs, Uniden’s expanding line up in the personal navigation arena is a natural next step for our growing company and its brand” said Brendan Morris, president of Uniden America. 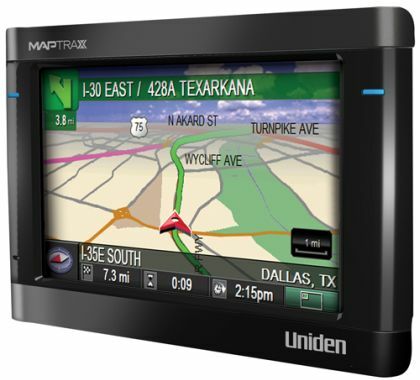 The new Uniden’s MapTrax GPS devices that will be characterized by compact designs, large displays and cutting-edge technology is expected to debut at CES (Consumer Electronics Show) 2008.